As regular readers of this blog might have noticed: I love great technology. When I talk about technology, I push the concept slightly further than most web aficionados might do. It is not just gadgets that I like, but any well designed tool that can make my life easier is much appreciated. A great blog to see examples of what I am talking about is Kevin Kelly’s Cool Tools blog. I have a many pieces of technology that I really like and use often. Some examples: a Leatherman Juice Cs4 multitool, a Brabantia bin ,a Samsung NC-10 netbook running Ubuntu, a Solis Citrus Press, a Victorinox Trevi 17 briefcase or a Microplane Grater). All of these products have one thing in common: they have been extremely carefully designed for the task at hand. Every element has been consciously put in place and considered. This is refreshing in a world of more and more crap. One of my favourite books on the topic of design is Donald Norman’s classic The Design of Everyday Things. He outlines some design principles that many products violate which consequently makes them hard to use. 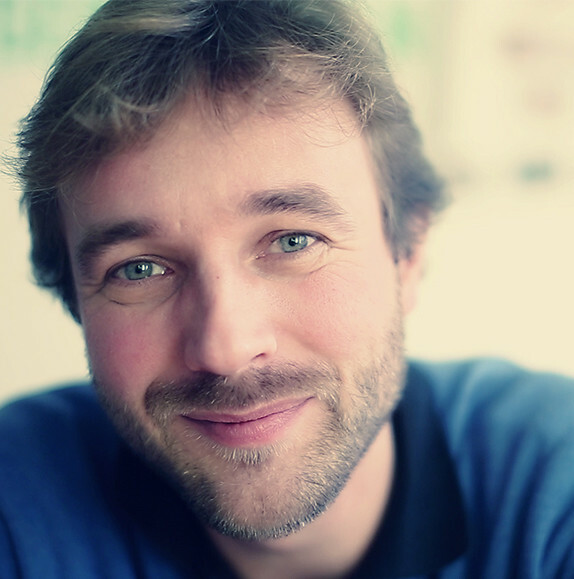 What he does not address is the creative inspiration that is needed for truly great products. My latest technology acquisition does have this creative inspiration. 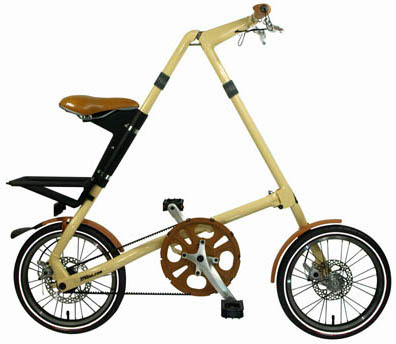 It is a Strida folding bike. This brilliant piece of engineering will help me get to and from the train station every day. The Strida was featured on Cool tools a little while ago and I completely agree with everything the reviewer writes there. 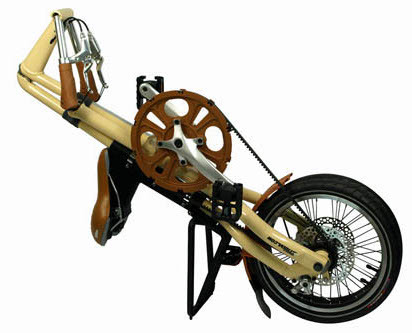 The joy is in the details: little loops allow you to lock the brakes, so that the bike can’t roll away when standing up and the carrier on the back doubles as a stand when lying down. Even the marketing people did a good job (in general I am not fond of marketeers). They know that people will ask you about the bike in wonderment, so they have provided a case of Strida business cards underneath the saddle that you can hand out.